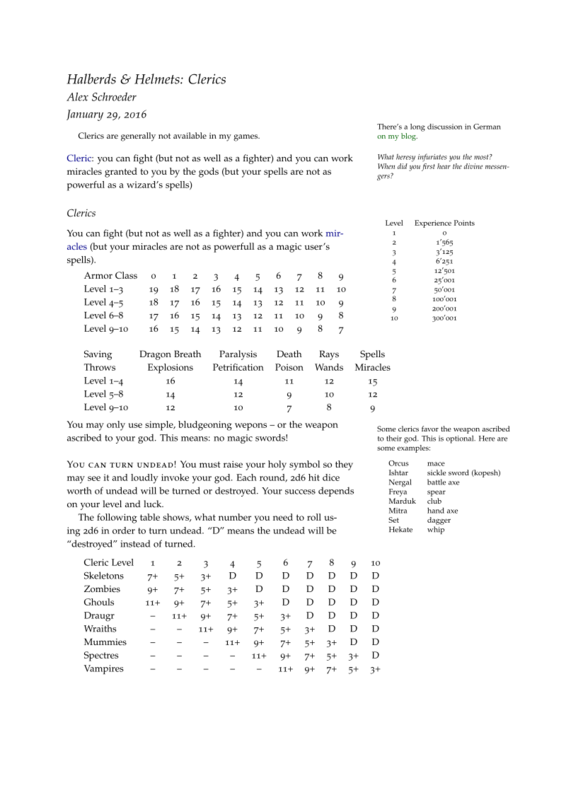 I repeat what I wrote in a recent blog post about having dropped clerics from my game. It’s not a problem. This is from a separate PDF! It’s no longer part of Halberds & Helmets.